In Russia serial killer not Russian. Child 44 follows MGP – Russian police- security officer Leo Demidov. Leo tows the party line until circumstances force him to accept that crime does actually does exist in the Soviet Union. Leo is the only person interested in bringing a prolific serial killer to justice. 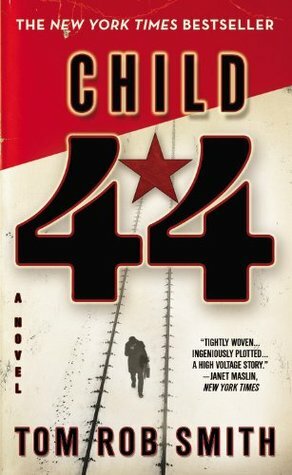 I’d heard many great things about Child 44 by Tom Rob Smith. It won a pile of awards, even being included on the Man Booker long list, and became a must read for crime fiction fans. You know there is a ‘but’ coming. I like my buts big, and I cannot lie. But Child 44 annoyed me. The story itself is well told. The characters are interesting. The antagonist is based on the real serial killer Andrei Chikatilo. Those points didn’t stop the nagging at the back of my brain. The premise is a great example of a nagging point. If the Soviet Union didn’t believe there was crime, let alone murder, after the revolution, then why the hell did they keep crime statistics? And there were no serial killers in… Oh wait, there are 9 acknowledged from Russia alone in the 20th Century. The problems don’t stop there, of course. The usual Russian tropes are rolled out like an “In Russia” joke. I’m not really in a position to judge how valid any of these tropes are, nor how accurate a portrait of post-WW2 Soviet Union Tom paints. But when I’ve read Russian authors in the past their novels didn’t give the sense of place that Tom does. This really did feel like a British author’s take on what the Soviet Union was like based upon those Cold War films they watched as a kid. Another minor problem I had with the book was the way it dragged scenes out. This was meant to be about creating tension and suspense, but all it did was annoy me. My annoyance on this point may have been driven by my heightened sense of “vodka to wash down amphetamines… really?” moments from the novel. If you can get past the generic tropes, this is a book worth reading. I’m sure I would have rated it more highly if I hadn’t read a few Russian authors and seen a few Russian films to realise how much of a Western view of the East this novel is. Previous Previous post: Can you recommend some Aussie movies?